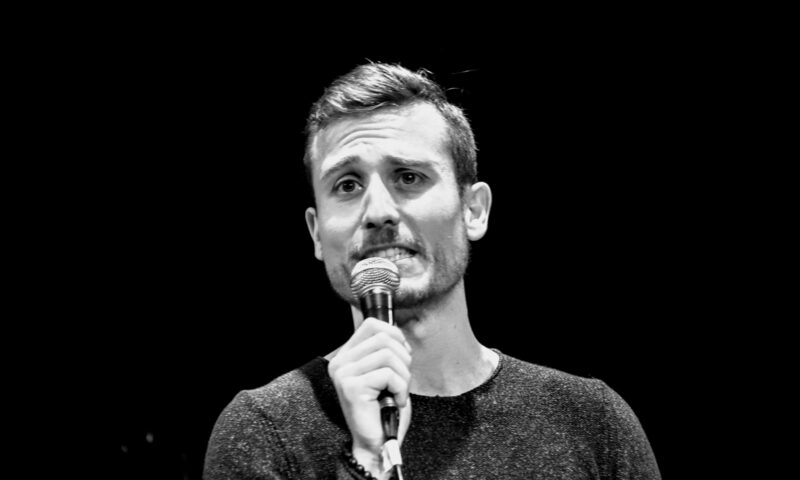 Daniele Midi is a gay, Italian-by-birth and Midwestern-at-heart, San Francisco-based stand-up comedian and producer (so many long words! ), sure to deliver a fun time for all audiences (especially the good ones). His witty and fast-paced comedy — all around happy and lighthearted — deals with being a young gay man, married, and in a stable relationship with his cat and dog, but it’s far from tame. From being a European transplant to the US, to fun stories about gay gyms, from his love/hate relationship with technology, to a look into the “country experiences” of a city boy, Daniele reinvents his perspective (and yours!) every time, with clever observation and dumb jokes — no, wait, it’s clever jokes and dumb observations, … whatever. He’s been performing all around the Bay Area including Cobb’s and the SF Punch Line, at awesome shows, cool comedy competitions, and really terrible open mics, and produces the successful “Laugh Your Gays Off” show and several others in San Francisco. Book him for your next show, he funny. No, for reals, he funny.